oyal to spirit of this earlier generation and in the tradition of the 41.1, the Oceanis 35.1 combine performance and comfort at sea. 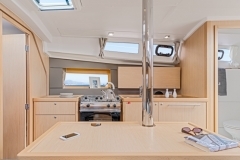 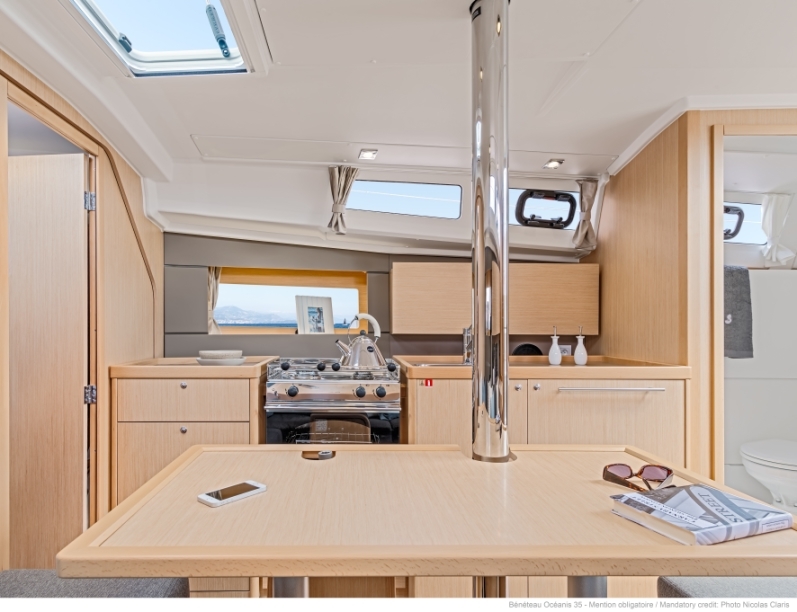 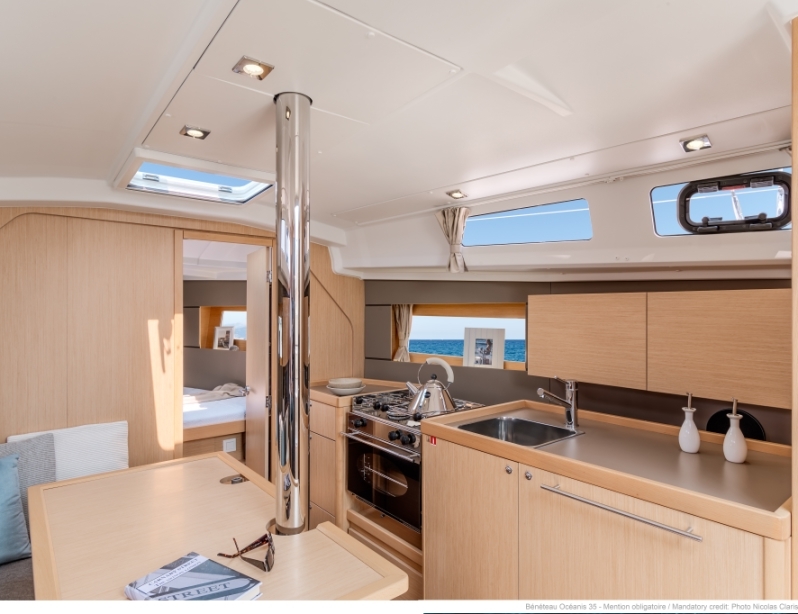 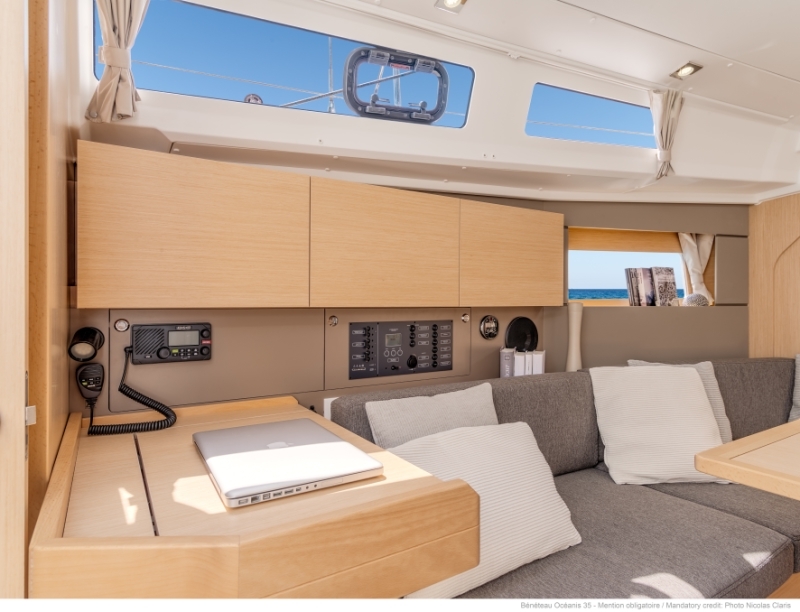 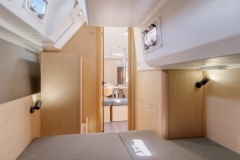 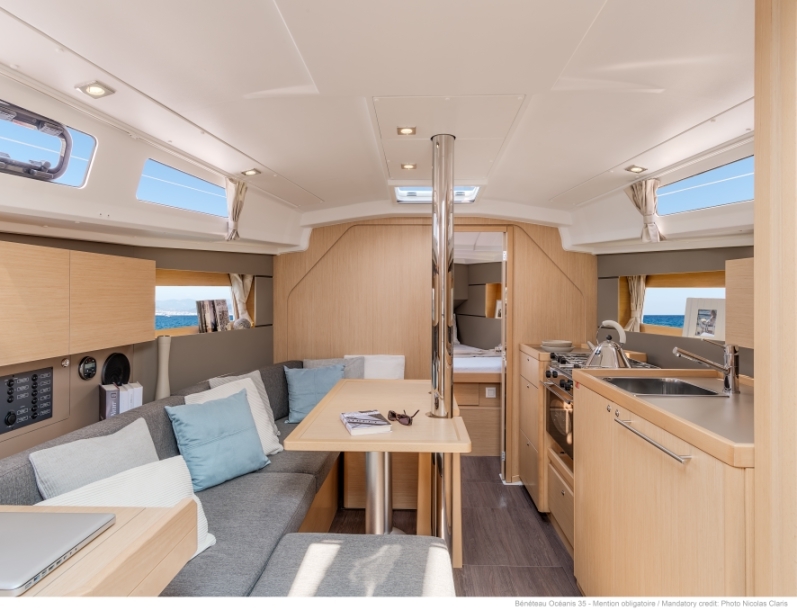 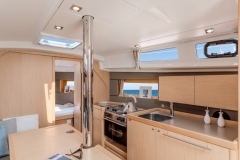 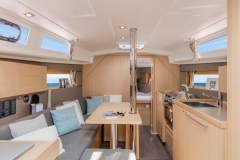 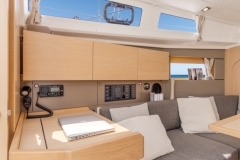 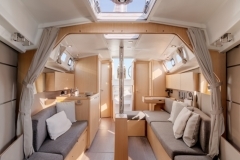 The Oceanis 35.1 interiors have been rethought and their exteriors redesigned, delivering significant developments and offering a choice of four versions in all. 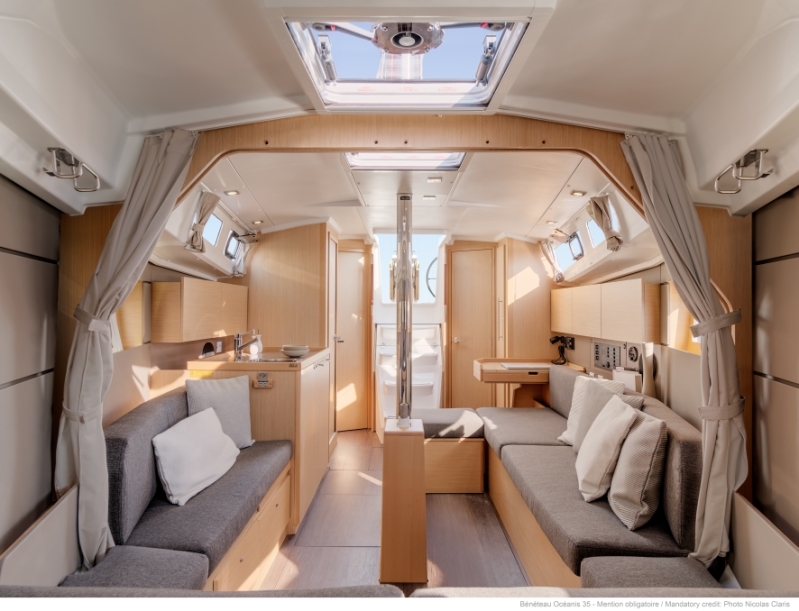 One of the biggest hits of last year was the Oceanis 38 – the custom yacht for the off-the-rack sailor. 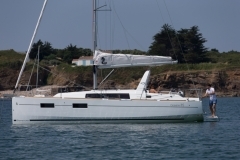 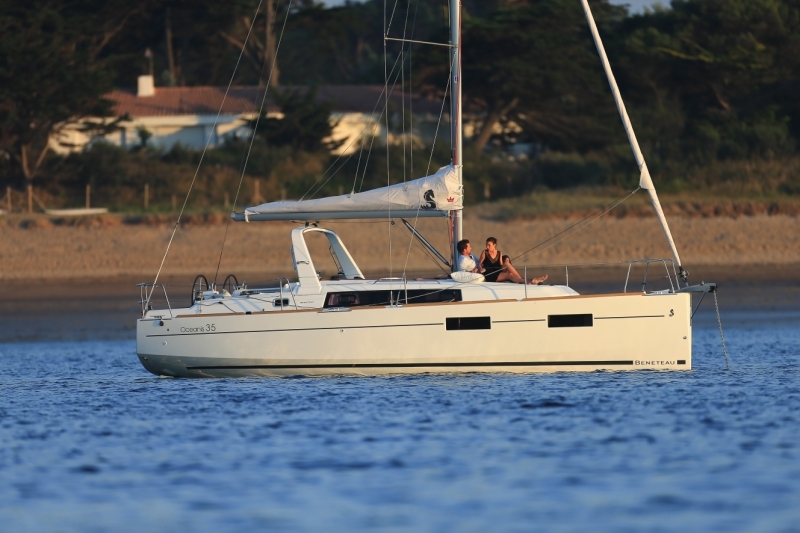 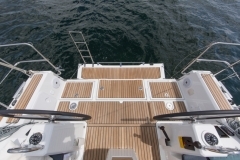 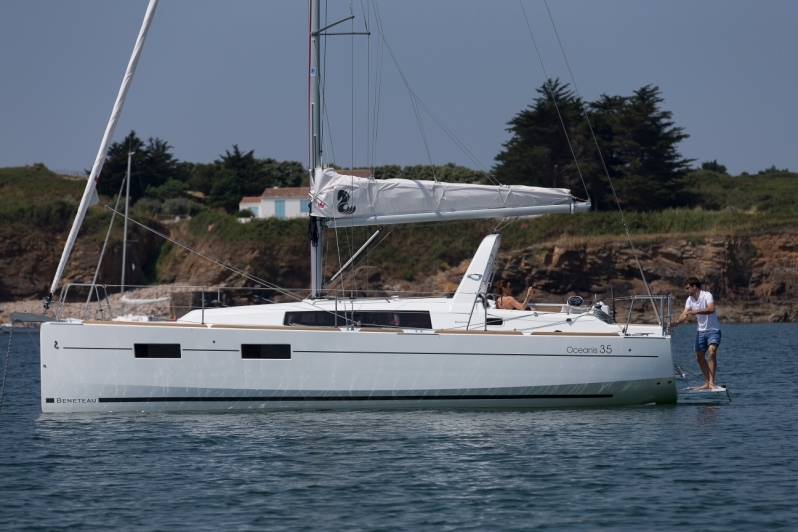 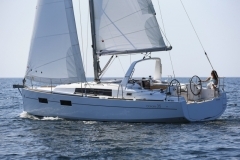 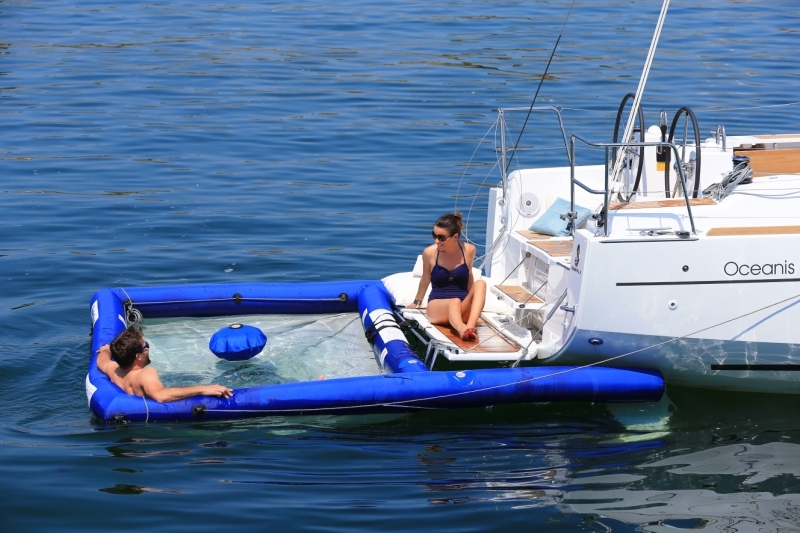 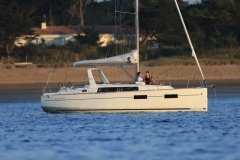 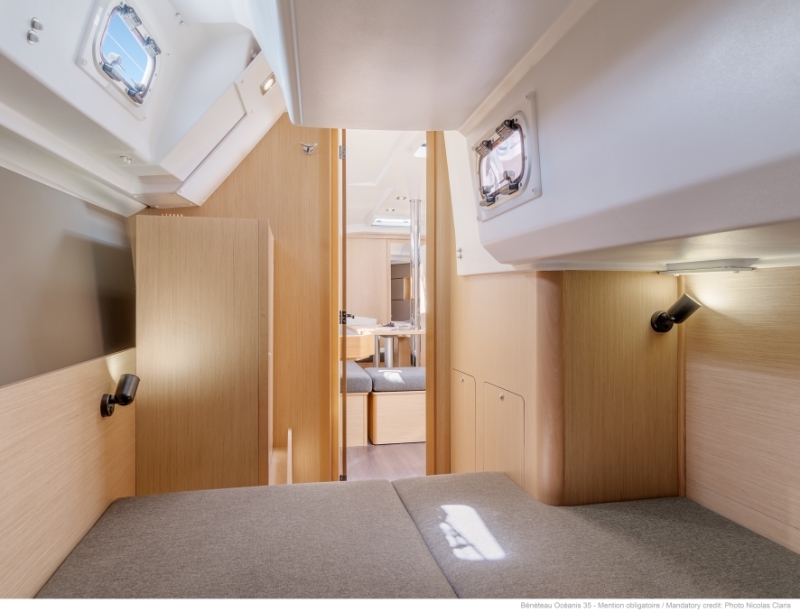 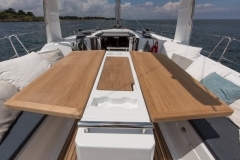 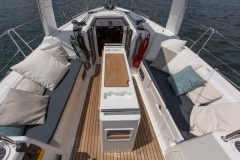 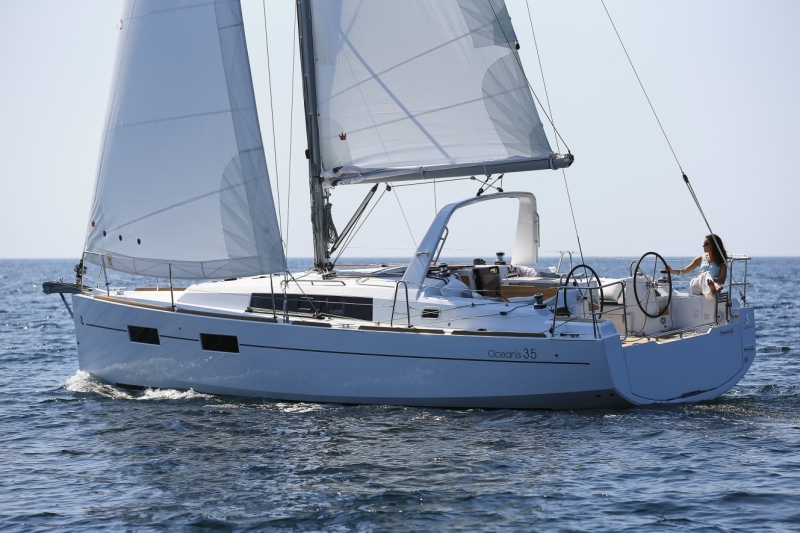 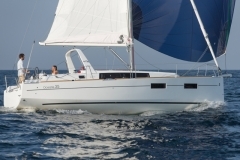 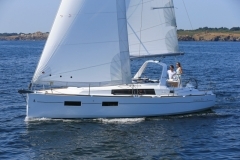 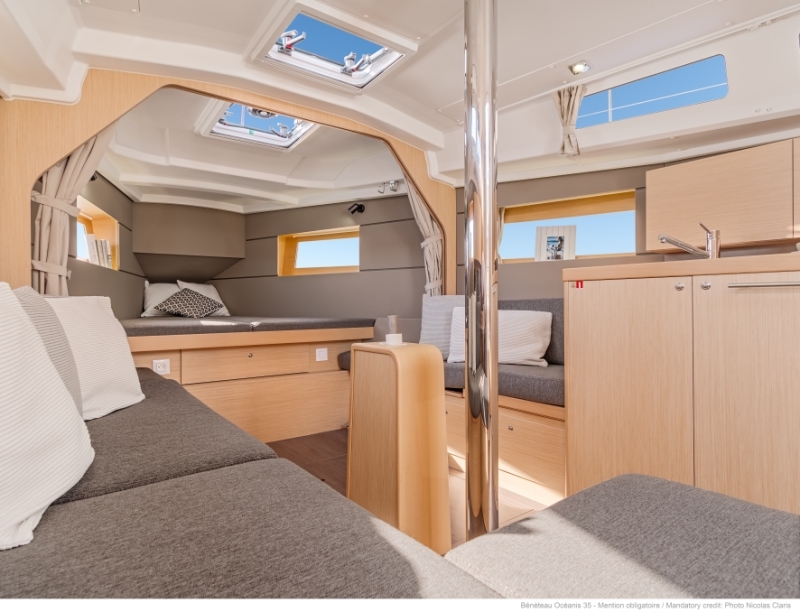 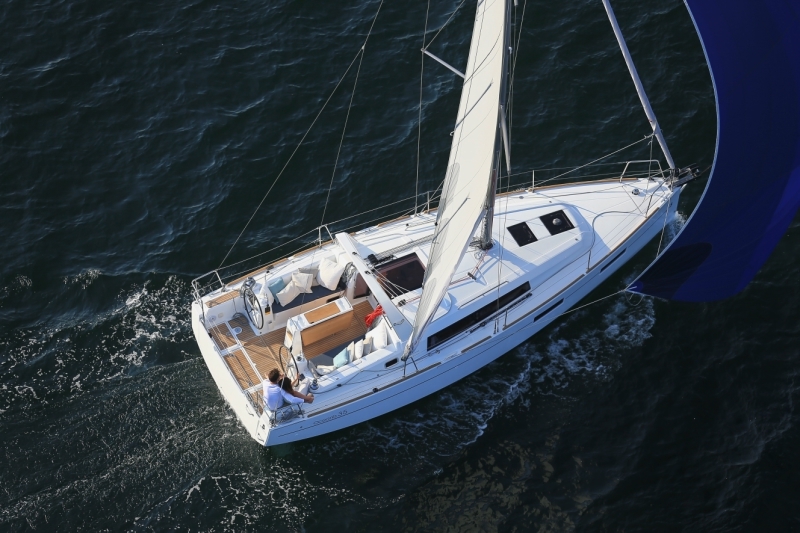 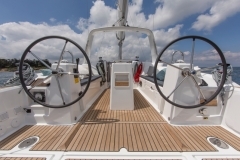 For 2015, Beneteau follows up that success with the introduction of the Oceanis 35. 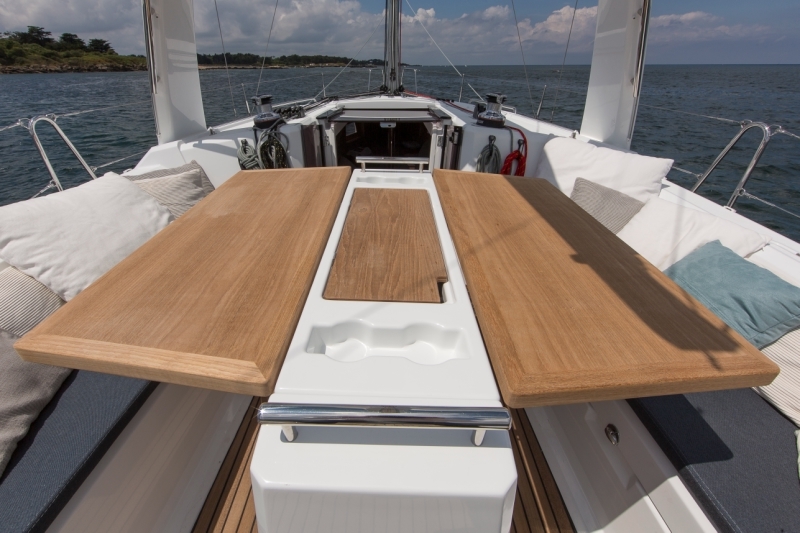 She features the same daysailer/weekender/cruiser options as the 38, allowing any skipper to create a boat that will fit his or her needs. 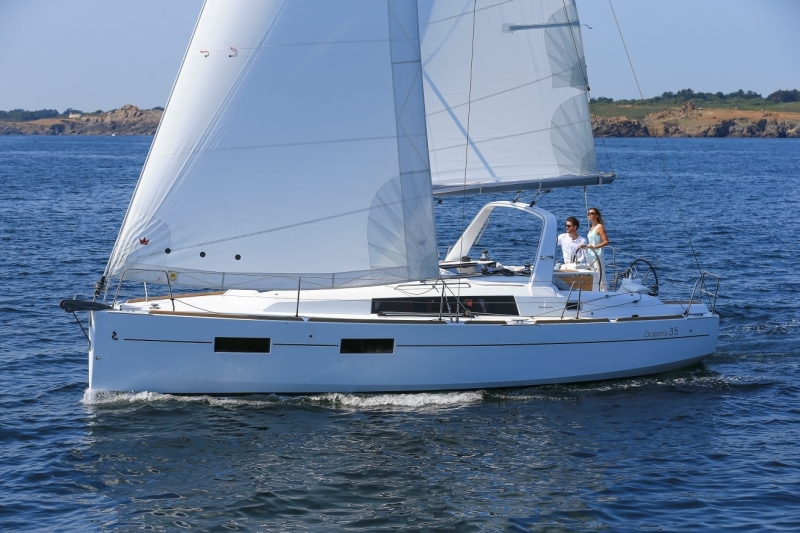 And the more compact length just makes her that much more nimble and as well as a joy to navigate.